Cataract. We’re sure we have all heard this word at one point or another, but what is it? And what can be done about it? 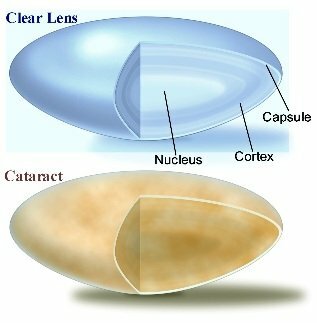 A cataract is opacity of the lens in our eyes. When this opacity becomes increasingly dense, the transmission of light (creating crisp, clear vision) is obstructed. Sometimes the cataract is so small, no symptoms are noticed. Some people may hear cataracts during an eye examination and think only negative thoughts. When in reality the treatment options can aim for the patient not needing glasses at all following the cataract removal. Here at Boutique Eye Orlando, we strive to provide patients with the most advanced surgical options in the area. When cataract surgery was first introduced, there were no lens options and patients were forced to bear the attendant magnifications and distortions in vision, even while wearing glasses following the removal of the cataracts. Today, the options are near endless. When a patient comes into our office for a cataract evaluation, you can be sure we will treat each eye of each patient with professional and knowledgeable care. We offer Toric lenses to correct for astigmatism. Multifocal lenses to correct for both reading and driving vision. And this can all be done with a laser which offers a safer surgery and less risks of complication following the procedure. Every patient’s needs are different. There is no standard for any one patient. Here at Boutique Eye Orlando, we make sure we know all of your needs and do our very best to exceed expectations.